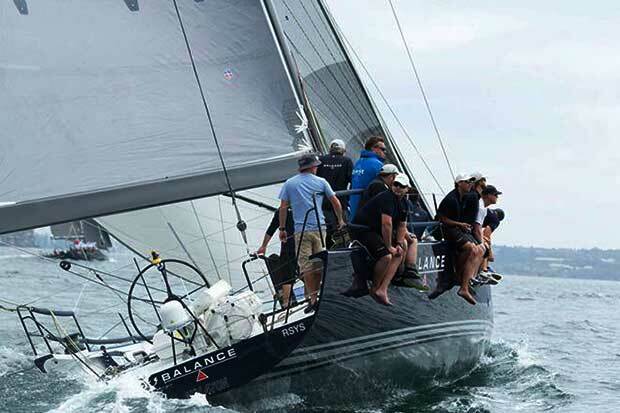 Paul Clitheroe’s TP52 Balance has almost replicated her clean sweep of last year’s Sydney Newcastle race, taking line honours and winning IRC, ORCi and PHS overall, only missing breaking the record she set last year in the Ocean Pointscore Series conducted by the Cruising Yacht Club of Australia. The consistent southerly that drove Balance to her 4 hours 34 minutes 26 seconds record for the 63 nautical mile race was the antithesis of conditions experienced by competitors on Saturday, which resulted in Clitheroe’s boat finishing in 9hrs 20mins 3secs. “And the year before, we were first boat to finish, but five minutes outside the time limit…,” Clitheroe remembered. Overall, Balance beat The Goat (Sebastian Bohm/Bruce Foye) by nearly 50 minutes, with the series leader, About Time (Julian Farren-Price) third overall. Conditions earlier in the day indicated a fairly quick and enjoyable ride to Newcastle, but a thunderstorm late in the afternoon put paid to that theory. Denis Thompson, Principal Race Officer, said the day had started well: “We got them away on time in a 10-12 knot southerly. All got off the line easily and left the Harbour in 10 or so minutes. Clitheroe commented late in the evening: “Once we left Sydney Heads, it was champagne sailing. The sun popped out and we sailed in company with dolphins and mutton birds – and Triton. But then the thunderstorm struck. “Around Norah Head we saw the sky darkening. The storm was wild. There was one storm front in Sydney, one at Gosford and one at Newcastle and the storm clouds sucked up all the air. “It was an amazing day out,” said Clitheroe, describing “breeze from everywhere – due south, south-west, while it was south-east out to sea and as we got into Newcastle it was north-north/east – quite unusual. That’s where we took time from Triton,” he said after finishing just shy of one hour in front of his rival. But according to Wax Lyrical’s owner, Les Goodridge, who finished just after 11pm, 17 knots was the most they saw also. “We had zero knots for hours on end. There were big holes in the course and we sat around doing nothing. We went through the storm cells, but there was no breeze in them. The issue wasn’t too much wind – the issue was not enough. “Newcastle Yacht Club stayed open for us and had a drink waiting, so that was great,” he ended. One race remains to decide the series. About Time is in the box seat to claim both IRC and ORCi overall honours. She has a three-point buffer over Balance in both IRC and ORCi. 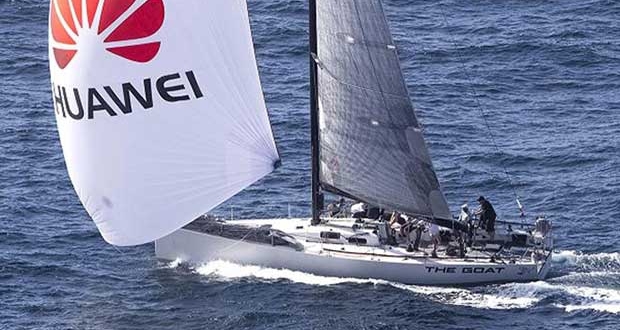 It will be a close call between the nine-time OPS champion and the 2015 Rolex Sydney Hobart and Blue Water Pointscore winner, both well in front of the rest of the field. Col and Denise Wilson’s Never a Dull Moment leads the PHS component of the series from Wax Lyrical, with About Time third. The Lion Island race will close the 2016/2017 Ocean Pointscore Series and starts at 10am on 18 March.